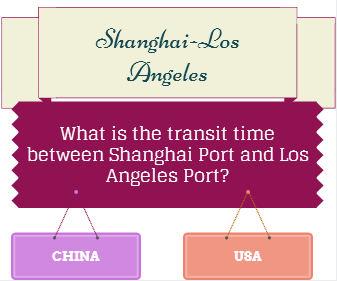 What is the transit time between Shanghai Port and Los Angeles Port? China is the biggest exporting country and the USA is the biggest importing country in the world. These two export-import giants have strong business connections. The Los Angeles Customs district consists of the Port of Los Angeles, the Port of Long Beach and Los Angeles International Airport. Los Angeles port is the leading part of the formation. 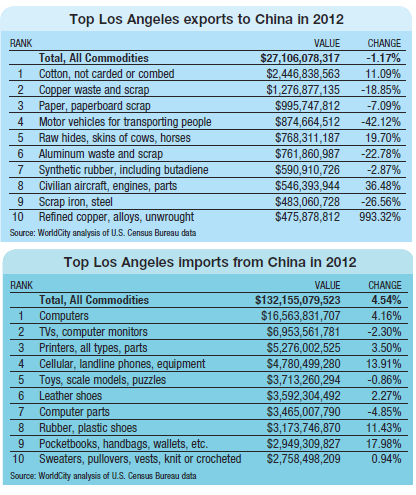 China is the top trade partner of Los Angeles custom district since 2000, when it overtook Japan. In year 2012, Los Angeles custom district created 159Billion USD value international trade with China. When you check the numbers, you will realize the significance of international trade between Chinese Ports and Los Angeles Sea Port. How long does it take for a container vessel to come from Shanghai Port, China to Los Angeles Port, USA? Today I would like to explain the transit time between Shanghai Port, China and Los Angeles Port, USA. I will be giving two different examples of shipment schedules from container lines, that are working between these two important ports. Now let me try to show you the transit time between Los Angeles Port and Shanghai Port via different container liners as belows. 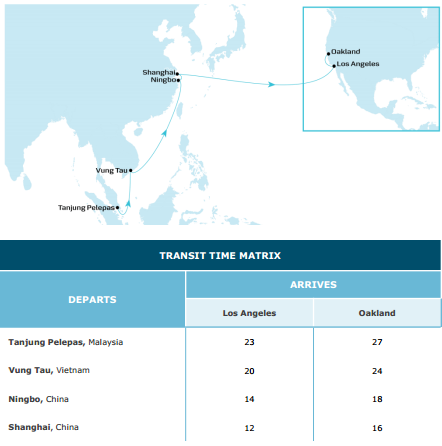 What is the transit time between Shanghai Port and Los AngelesPort via China Shipping? China Shipping follows Shanghai Port, Ningbo Port, Los Angeles Port with its own container container vessels. The transit time is around 21 days. Maersk follows direct Shanghai Port to Los Angeles Port route with its own container container vessels. The transit time is around 12 days. 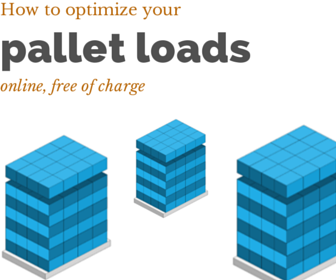 According to Maersk website this service is the fastest line exists in the container freight market between Shanghai Port to Los Angeles and Oakland Port.